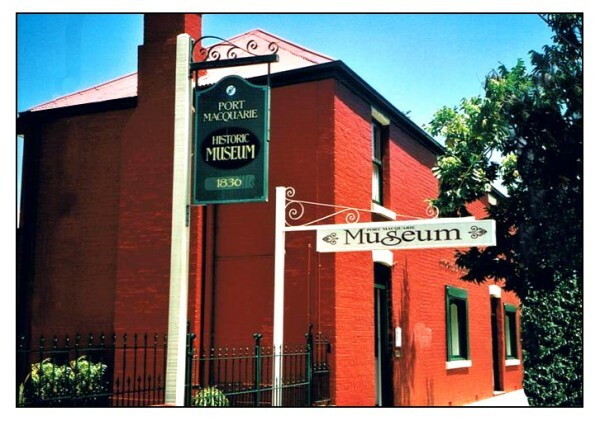 The Port Macquarie Historical Society's collection includes objects, artefacts, treasures, ephemera, photographs and documents on display in the Port Macquarie Museum, in its archives and in storage. The collection is significant in regional NSW and Australia. It interprets important themes in local, State and Australian political and social history, including Aboriginal culture, European settlement, the penal colony, free settlement, local trades, services and industries, farming, the timber industry, domestic life, recreation and travel. It represents the people and culture that have shaped the history of Port Macquarie and Australia from British settlement in 1821 through to the present day. Many of the collection's objects are associated with well known local people and places; they include photographs, family papers and archival documents which are highly relevant in the local context. The vast majority of items were donated to the Society as a result of public appeals during the late 1950s and early 1960s. Local donors responded to these appeals in a generous fashion. The current policy is to collect locally owned, used or made objects only. Annabella Boswell collection of journals, paintings, drawings, letters and gown of a later period.